The Obama administration and other supporters have urged lawmakers to keep politics out of assessments of the accord. “Lawmakers as well as the American people should judge this deal on its merits,” State Department spokesman Mark Toner said Tuesday. The Obama administration on Tuesday posted an annotated version of the 159-page agreement on the blogging platform Medium. “The American people can read the deal for themselves, which we hope they will take the time to do,” Mr. Toner said. The version posted Tuesday includes comments from Secretary of State John Kerry, Energy Secretary Ernest Monizand Treasury Secretary Jacob Lew. “I learned in war the price that is paid when diplomacy fails,” the annotated version quotes Mr. Kerry as saying. 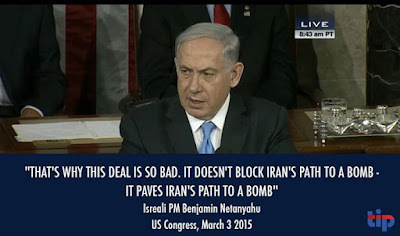 Mr. Netanyahu said the deal will allow Iran to build a nuclear weapon whether or not it violates the terms of the agreement and will provide Iran with a “massive infusion” of cash it will use to fund its nefarious behavior in the region. “Either way the deal gives Iran a clear path to the bomb, a difficult path to one or two bombs today and a much easier path to hundreds of bombs tomorrow,” Mr. Netanyahu said. 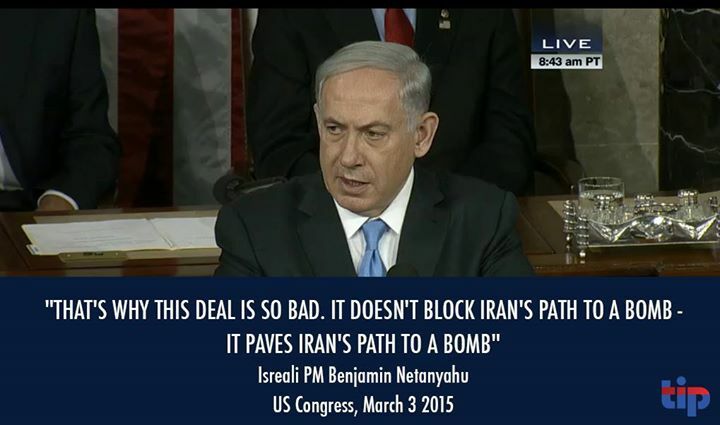 Mr. Netanyahu also brushed aside the public support Gulf Arab states offeredfor the deal Monday. The White House embraced their support as a win for Mr. Obama.